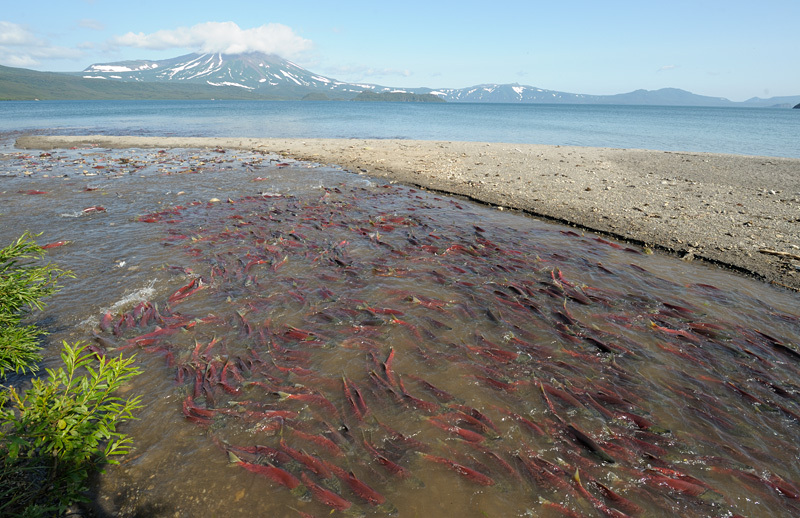 Here are some cool pictures of salmon spawning at Kuril Lake in Kamchatka. Yes it is Salmon. 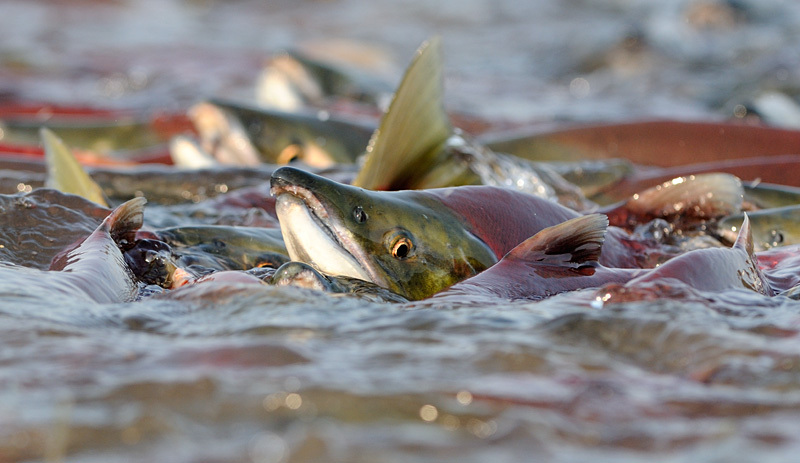 When Salmon spawn, they stop eating and lose much of their bulk. This is how they look during the spawn, or at least this is how all species of Pacific Salmon look during the spawn. I’ve never observed Atlantic Salmon spawning, so they may look different. Since nobody claim it, A proper First. That is Pacific salmon. 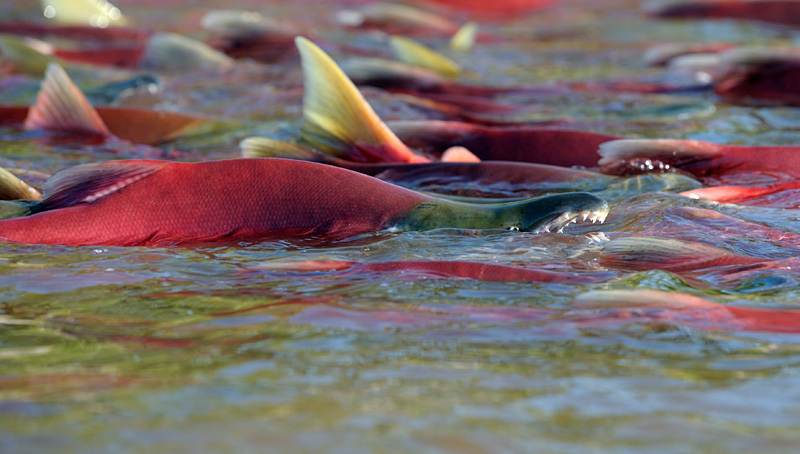 Major salmon runs occur every four years and 2010 is one of those years. 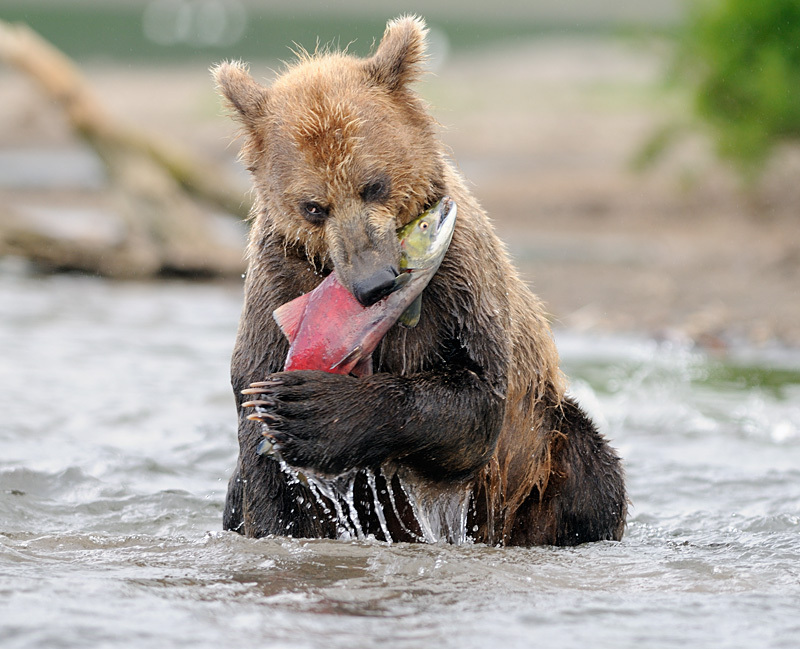 Kamchatka is an awesome place, and one of the last true wild places left on Earth. They need to keep it that way. Great photos! A. Bunka here. I would hope that someone in Russia will have the good sense to preseve vast lands like Kamchatka, before it looks like Western Russia. This is incredible effort and and incredible species of fish, the salmon. Never ceases to amaze me how nature can overcome man-made obstacles, and survive. WOW… so many salmon. They are expensive fish in my city. Hello to anyone interested in salmon. 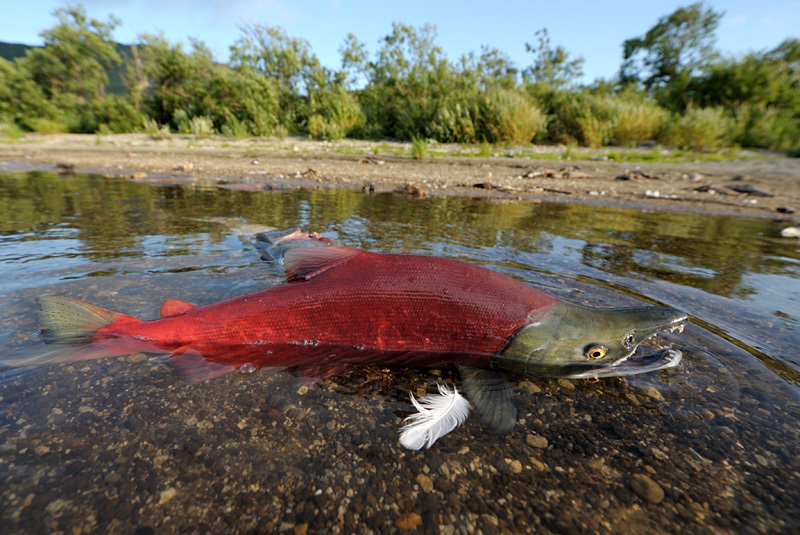 The fish in the photos are called Reds or Sockeye salmon. There are 5 different species of Pacfic Salmon, and one main type of Atlantic salmon. 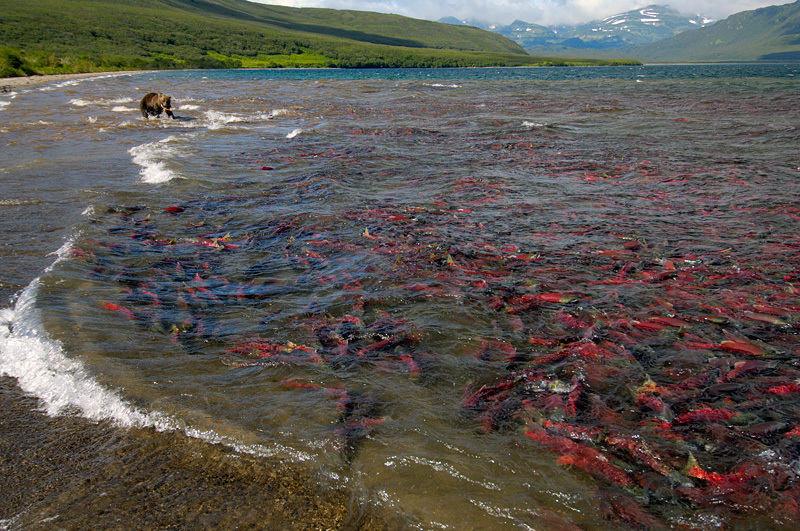 Only the Sockeye look this way at spawning. Other types of salmon go through a less obvious transformation before their death. Some salmon have four year life cycles and one (Pnk or Humpy) have a two year life cycle. The Atlantic salmon may spawn several times during its life cycle before dying. so many salmon. They are expensive fish in my city.